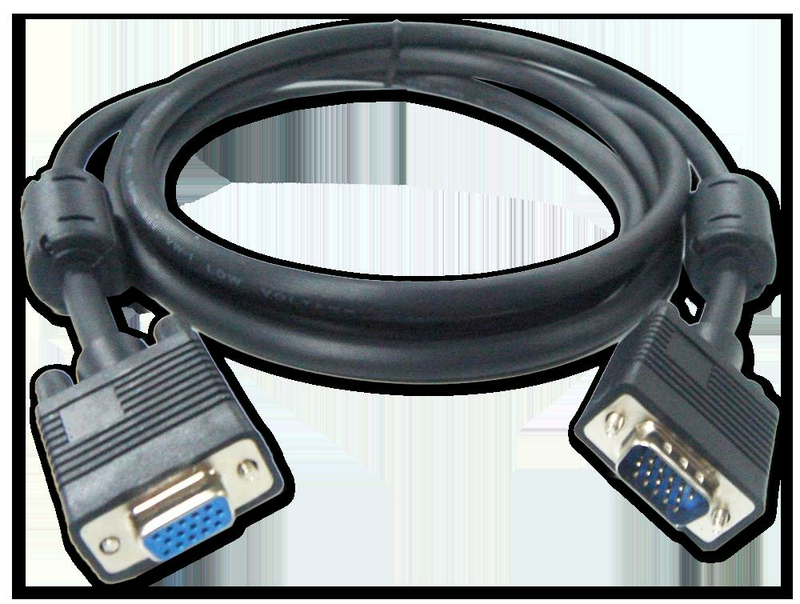 HD15 Male / Female VGA Low Loss Video Cable, generally used as an extension cable for an existing VGA cable, or to connect a PC to a VGA Switch Box..
HD15 Male / Female VGA Low Loss Video Cable, generally used as an extension cable for an existing VGA cable, or to connect a PC to a VGA Switch Box. These Low Loss molded cables are used to connect PCs/Laptops to add-on peripherals such as a monitor or projector with an attached cable, or as extension cables for your existing VGA cable. They are made to UL standard with Tri-Coaxial + 7 Control wire cable and Dual Ferrite noise filters to suit XGA Super High Resolution. Each High quality cable is foil and braid shielded. Pin 9 is removed as required by VGA/XGA controller standards.